Project Description: Create an outdoor warning system to be used in high water events at the George B Stevenson Dam to notify residents and visitors to evacuate the area if water levels meet the criteria in the Emergency Operations Plan (EOP). 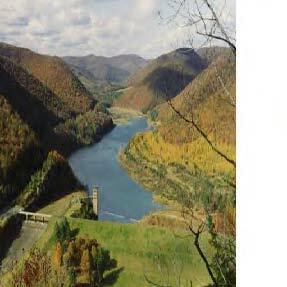 The dam is owned by the Pa Department of Conservation and Natural Resources (DCNR) and is one of four dams creating a flood control project for the West Branch Susquehanna river basin. The Baltimore District of the US Army Corp of Engineers (USACE) controls the water levels at the dam. Issues Encountered: The flood inundation area of the dam covers a large area in the southern half of the County indicated by the yellow lines on the above map. This area is sparsely populated with permanent residences but has a large presence of seasonal structures. The area also has limited TV, internet and commercial radio coverage and no cellular coverage. Many of the seasonal homes have no landline telephone service. During high water events major roads in the area can be closed due to flooded areas and/or rock slides creating issues with providing safe evacuation routes. 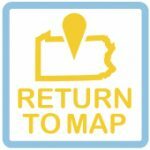 The Cameron County Emergency Operations Plan (EOP) states that the residents will be notified via route alerting by the local fire department, PA State Police (PSP) and DCNR employees. The first responders that live in the area have limited manpower and would be evacuating with their families therefor would not be available to do the route alerting. PSP and DCNR also have limited manpower and might not be able to access the area due to flooding so there was no one left to do route alerting. 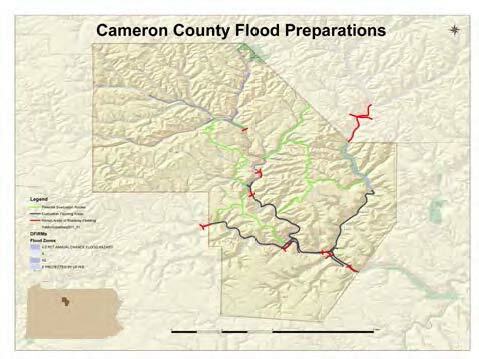 Cameron County initiated meetings with PSP, DCNR, PA Emergency Management Agency (PEMA), USACE, Local First Responders and Department of Military & Veteran Affairs (DMVA) to address the issue of notification of inundation area residents and visitors. After several meetings and countless hours of discussion it was decided that an outdoor siren system along with some limited route alerting, commercial radio broadcasts and telephone calls was the only viable option to make notifications. After funding was secured the county started looking at what type of system to install; mechanical or electronic. After much research and discussion the mechanical siren offered slightly better coverage but it was limited in the number or type of tones it could produce. Also there were no options to provide any voice announcements. The electronic siren is capable of producing various warning tones and can provide pre-recorded messages or live voice announcements. Once it was determined what type of siren to use a bid specification package was put together. Two bids were received for the project; one didn’t meet the specifications put forth in the bid package so the winning bid was awarded to the Federal Signal Corporation for 2 - 360 degree coverage sirens and 4 – directional siren heads with solar panels and batteries for power. Solar power was chosen to eliminate the cost of electrical service and monthly electric bills for each site. Locations were chosen based upon acoustic studies provided by the selected vendor. Right-of-way installation permits were secured from PennDOT for installation along roadways making easy access to siren maintenance. This also eliminated the need for additional expenses due to private property and legal issues that might occur. Currently, the project is in the installation stage. All permits are secured and the final siren tones and voice announcements are being recorded for installation in the controllers. There will be 2 controllers for the system; one in the Cameron County Office of Emergency Services and one at the Elk County 9-1-1 Center, the latter is the contracted 24 hour 9-1-1 center for Cameron County. The sirens will be activated using tones transmitted over a county-owned radio frequency. This frequency will also be used for testing and remote troubleshooting access. After installation the public outreach segment will begin with newspaper articles, town meetings and door hanger bags containing material explaining the meaning of the 4 different tones and messages. The bags will be distributed by the local Fire Department and Mountaineer Search and Rescue Team. They will be hung on every residence and seasonal cabin using 9-1-1 addressing maps provided to them by the county. The project is expected to be completed by September 2015. Funding Stream(s): FEMA Hazard Mitigation Grant Program (HMGP) Federal 75%, State 25% and Local 3% Cost Share. This was a Pennsylvania 5% Initiative Project under DR-4030 (Tropical Storm Lee).